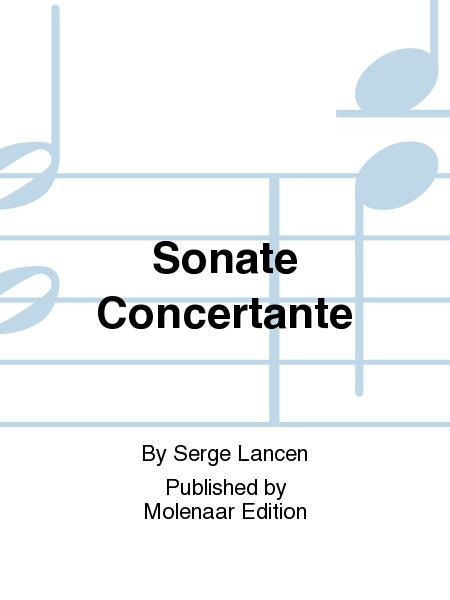 This Sonate Concertante, composed in 1988, is dedicated to the clarinettist AndrE Petit, teacher at the Lisieux Music School and, at that time, President of the 'Confederation Musicale de France'. In its version with piano, the work was created by Philippe Cuper, clarinettist at the Paris Opera, and the composer in Paris in 1990. 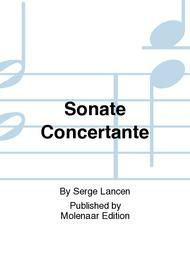 The version with symphonic band was created by clarinettist Marc Vertessen and the 'Concertband for Flanders' from Lier (Belgium) under the direction of Jozef Ratajczak at the WASBE Conference in Valencia (Spain) in July 1993.